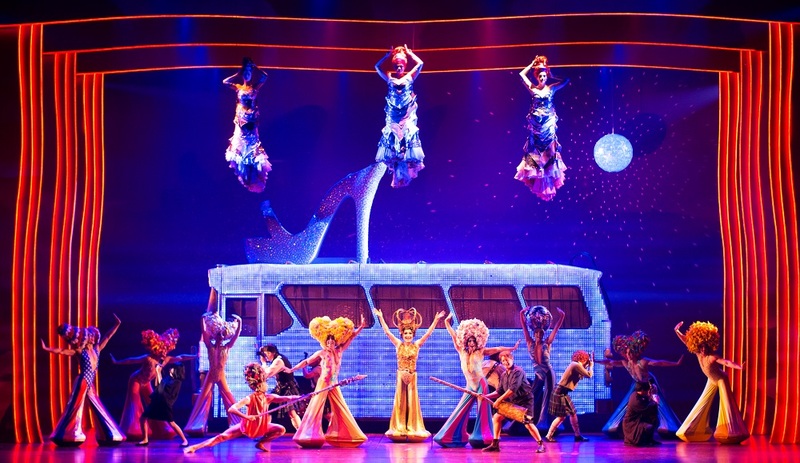 It’s time for Adelaide to shake their groove thing as the 10th anniversary Australian tour of Priscilla the Musical finally rolls into town after successful seasons in Melbourne and Sydney. Based on the critically acclaimed and much-loved 1994 Australian film, The Adventures of Priscilla Queen of the Desert, the dazzling stage adaption follows the journey of Tick, Bernadette and Felicia. After appearing in Broadway productions, David Harris returns to Australia for the iconic role of ‘Tick/ Mitzi’’ made famous by Hugo Weaving in the Oscar-winning film. Tick accepts an offer from his estranged wife Marion to perform in Alice Springs. This stint is also, in part, a ruse to meet his son Benji for the first time, who Tick has been too scared to reveal his true self to in fear of judgement and rejection. 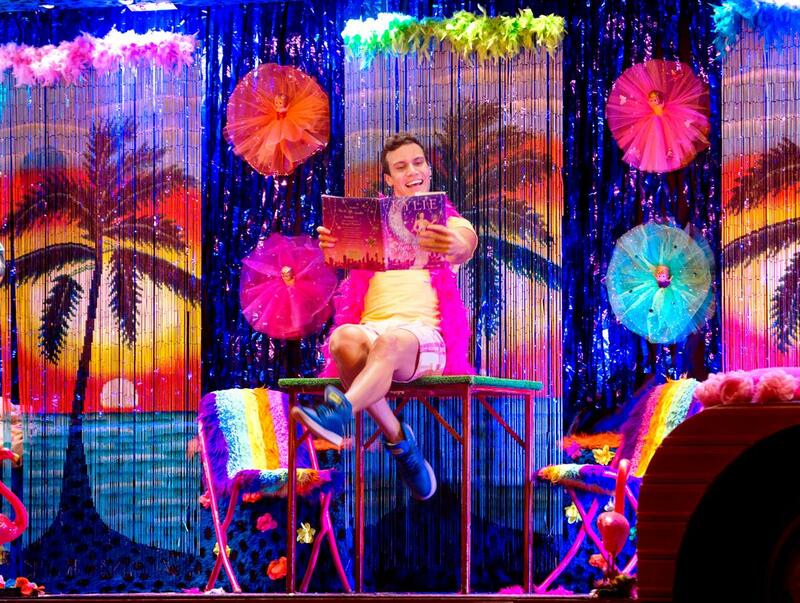 Joined by ex-Les Girls star Bernadette, (Tony Sheldon)and the flamboyant Felicia, portrayed by Euan Doidge, the trio travel across the outback in their bus, Priscilla. Along the way they are faced with both adversity and acceptance while encountering a variety of memorable characters. The unlikely trio’s bond is strengthened through a stunning cover of ‘True Colours’ after their bus is vandalized with a homophobic slur. Directed by Simon Phillips, the stage adaption of the hit-film has been an international success with Broadway and West End runs and several other international tours. Featuring hit songs including ‘I Will Survive’, ‘Girls Just Wanna Have Fun’, ‘I Say A Little Prayer’ and ‘It’s Raining Men’, the production showcases over 500 extravagant costumes and 200 headdresses. The truly beautiful moments of the story are seen when Tick meets his son who he believes may not accept his homosexuality and ‘showbiz/ Drag Queen’ profession. Benji’s acceptance and support of his father’s passion is a moving part of the narrative which sees Tick decide to stick around and build a relationship with him. Priscilla the Musical exhibits the prejudice and difficulties encountered by the lesbian, gay, bisexual, trans and intersex (LGBTI) community. It also shows the positives, seen through the character of Bob who falls for Bernadette and is a fierce supporter of the trio. If we are truly supportive and kind to one another we can make the world sparkle which, underneath all of the sequins and glitter is what Priscilla the Musical is all about. Priscilla the Musical will show at the Adelaide Festival Centre until September 15. Book tickets here. Next articleElixir Skin Fitness VIP event: Do You Dare to Bare?